You've been asking and we made it happen! We've created a personalized weekly planner to meet all your needs. Our weekly planner is perfect for those who love to keep a schedule and stay on track with both monthly and weekly views all in one! Available in 2 sizes, 5.5" x 8.5" and 8.5" x 11", you'll be sure to have an option that meets your needs. The best part about our planner is you get to personalize the front to make it all yours! 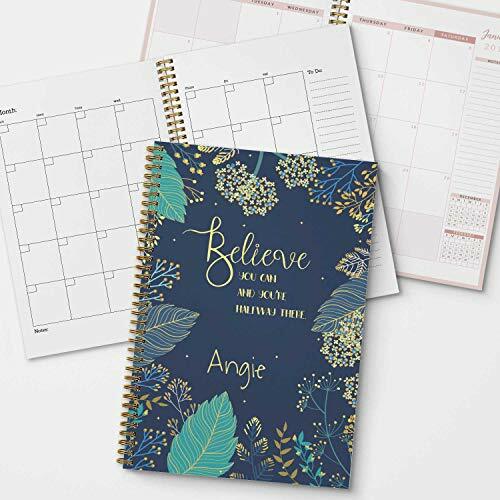 Each planner comes with a choice of a dated or undated calendar with monthly and weekly spreads and room for notes. Most planners ship next business day, and all orders are made in the USA!